These homemade playdough recipes are excellent. They make better playdough than the store bought variety. The colors are vibrant, the dough is soft and there are no harsh chemicals or preservatives. A tip for making brown colored playdough: I mix 1 small package of Crystal Light Original Iced tea with the water in these playdough recipes. I’ve also used cocoa. If you do use the cocoa, add it with the flour. You can add as much cocoa as you would like for color. 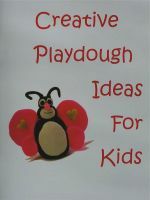 Looking for more creative playdough ideas? I've also put together a homemade playdough kit from things around the house that gets a lot of use. Check out these sections that I'm sure you'll find helpful. Another great playdough idea your kids will love is an erupting playdough volcano! Warning: The level of salt in many homemade playdough recipes can be fatally toxic to pets if consumed. Please be aware of this risk and keep all playdough made with salt out of reach from a pet or in a sealed container. Mix flour, cream of tartar, and salt in a pan. Mix desired coloring with water, add with oil to dry mixture. Cook over medium heat until thick. Mix in coloring later if preferred. This is a super fast and easy recipe.This recipe is excellent if you don’t have a stove or microwave. I just boil the water in an electric kettle. With any of the Kool-Aid recipes the dough will be the color of the Kool-Aid mix and will smell like the Kool-Aid mix. If this playdough gets sticky after a period of non-use, I just add flour and knead until it's back to good condition again. I have found that this playdough doesn't mold, but if exposed to air for long periods of time, the salt in it forms white crystals that can be seen on the dough. Mix flour, salt, oil and Kool-Aid. Add boiling water; stir and knead until cooled and smooth. Store in a plastic bag or airtight container. This lasts well for a couple of months if stored in the fridge in a plastic bag. The addition of cream of tartar makes the playdough last longer. You can find cream of tartar in the baking supplies aisle at your grocery store. This playdough, if stored in an airtight container in the fridge will last months( up to 6 months ). Mix the dry ingredients together in a medium saucepan. Slowly add the water mixed with oil and stir over medium heat until mixture thickens to dough. Let cool a few minutes and then knead until smooth. Alum is a pickling spice found in the spice section of your grocery store. It makes the playdough last longer. Mix all together and knead well. This too is an excellent recipe. It’s just as good as any regular playdough recipe. It is for children with wheat allergies. The dough is quite sticky at first, but just continue kneading it and it will turn out beautifully. Combine all ingredients except food coloring in a medium saucepan. Cook over medium heat stirring constantly until mixture thickens and forms a ball. Allow the dough to cool and then add in your food coloring. Mix all ingredients together in a medium sized saucepan and cook over medium heat. Stir constantly until consistency of mashed potatoes. Let cool and knead with floured hands until dry. Allow the dough to cool completely before storing it in an airtight container or plastic bag. Mix all together. Can decorate with raisins,chocolate chips, coconut, etc. This is good for kids who want the peanut butter playdough but are allergic to milk found in other peanut butter playdough recipes. 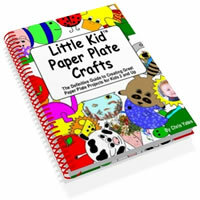 Thanks for visiting create-kids-crafts.com. I hope you enjoy these playdough recipes.